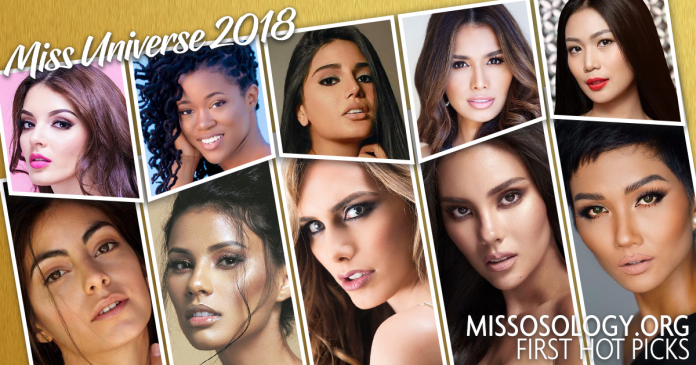 Finally, the host country and date of the 2018 Miss Universe competition has been confirmed. And what does that mean for us? It is high time to commence our traditional (and talked about) Hot Picks. 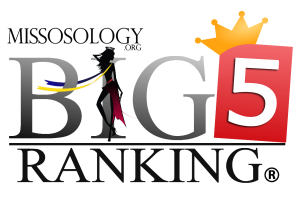 We’re still four-and-a-half months away from the “most beautiful day in the Universe”, but the competition is already heating up. Leading the trending topics at the moment, and our first power rankings is the controversial Angela Ponce of Spain. The 26-year-old model is probably the most anticipated candidate for this edition after she made history as the first trans woman to win Miss Universe Spain and ultimately to compete on the Miss Universe stage. “My goal: to be spokesperson for a message of inclusion, respect and diversity not only for the lgbtq+ community but for the whole world,” she wrote on an Instagram post. While this has raised many eyebrows, Angela is setting her sights on winning the Mikimoto crown. She will surely make the competition tougher and more interesting! In second place is the girl gunning for a back-to-back victory: South Africa‘s Tamaryn Green. But aside from the beautiful face, stunning figure and winsome smile, this 23-year-old medical student hopes to use her medical know-how to help “women understand their strengths”. “I am passionate about children’s health and educating mothers on how to prevent child illness and diseases because it is prevalent in South Africa, so this is definitely something I will use this new platform to focus on,” she mentioned in one interview. And with the IMG-era Miss Universe pivoting toward advocacy-driven women, Tamaryn will surely have a place come finale. Catriona Gray reacts after she was announced Miss Universe Philippines 2018. Not far behind in third place is the pride of the Philippines, Catriona Elisa Gray. Back with a vengeance after her the sour ending to her Miss World journey in 2016, Cat is all out in making sure her international pageant experience is sweeter the second time around. 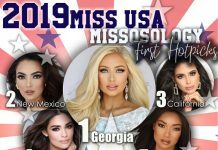 The 24-year-old beauty queen will be representing a country obsessed with beauty pageants. There’s a lot of pressure, really, but the former Miss World Philippines winner said she is taking a multi-faceted approach in preparing for Miss Universe. Catriona has been through the worst, and surely, she knows what to improve. 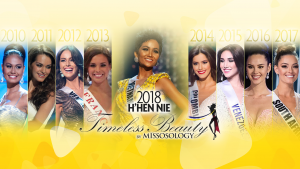 As we have stated in our Bb Pilipinas hot picks, she fits the bill of current Miss Universe winners: well-spoken, modern, beautiful and most of all, with a purpose-driven agenda. We won’t be surprised to see her win it all in Thailand. Another crossover beauty in our Top 5 is Ecuador‘s Virginia Limongi. This 24-year-old model and nutrition student from Portoviejo is all set in overturning her forgettable Miss World 2014 performance. So far, Virginia hs been really impressive. Her overall look and styling has markedly improved since Miss World. We need to see more of her social works and advocacy, but for now, we’re already impressed. Rounding out our Top 5 for now is the stunning H’Hen Niê of Vietnam. This 26-year-old model is the first Vietnamese woman from ethnic minority group to win the Miss Universe Vietnam crown. With Asian countries getting more and more exposure in the Miss Universe stage, don’t be surprised if she finally brings Vietnam back in the semifinals. After all, she’s beautiful, edgy and youthful.